DinkNeSmith.com: What would be your ‘Norman Rockwell’ of Thanksgiving? What would be your ‘Norman Rockwell’ of Thanksgiving? No, I’m not dreaming of a White Christmas. But I am about to nod off. I can’t help myself. As November slips away and Jack Frost nibbles at my hands, toes and nose, I doze into daydreams about my favorite season—Thanksgiving. So if I start snoring, jab me in the ribs. But before I put you to sleep, imagine you were Norman Rockwell, staring at a blank canvas. 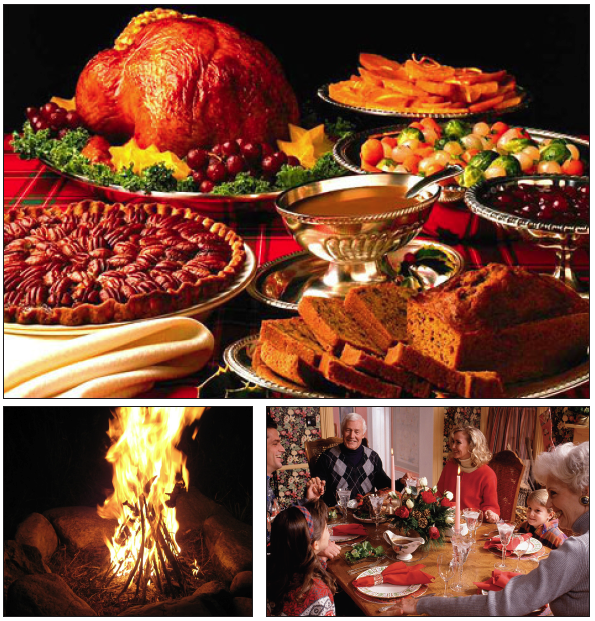 What would you sketch for the perfect Thanksgiving, before bringing it to life in an array of colors? Holidays are for gatherings. Family and friends are the only true wealth that we ever accumulate. There’d have to be a roster of generations. Old folks would be turning their knees into horses, bouncing toddlers on pony rides. Teenagers having fun, but not quite ready to admit they are enjoying themselves, too. I’d illustrate remember-when chatter, punctuated with laughter. Lots of laughter, even if Uncle Johnny had retold the same joke for 14 years. Before Uncle Johnny, there was Uncle Emory and his fiddle—both fueled by eggnog, spiked, of course. I’d paint mirth on every face. Holidays are for taking dog-eared index cards out of the recipe box and making sure Granny’s pumpkin pie is in an honored spot on the festive, all-you-can-eat smorgasbord. I’d feature cooks fussing over watched pots, wiping their hands on aprons and whispering secrets. Hey, it’s not just a women-folks thing. I’ve got a masculine apron. My seasonal specialty is peeling oranges for it-can’t-be-Thanksgiving-without ambrosia, while I’m tending things succulent on the smoker. A centerpiece would be Alda Holland’s trilogy of 10-layer cakes: chocolate, lemon cheese and caramel. As much as I am mesmerized by logs hissing and popping in the fireplace, I prefer a campfire under a canopy of old-growth trees, miles away from the mall. There’s magic in a navy blue sky—sprinkled with diamonds, especially when you strike a match to fatwood nestled under a pyramid of white oak and hickory. In my montage would be a circle of happy people around a campfire, waiting for the blaze to turn to radiant embers. Children of all ages would have visions of s’mores dancing in their heads. But before the marshmallows are poked on fresh-cut reeds, oysters would be covered with a water-drenched burlap bag and roasted on a slab of red-hot steel. Then, bring on the s’mores. The fourth Thursday in November shouldn’t be the only time we pause to count our blessings. My “Norman Rockwell” wouldn’t be complete without a family, hand-in-hand, bowing in a prayer of thanksgiving. Regardless of our personal tribulations over the past 364 days, there’s someone—somewhere—who has had worse, much worse. Years ago, Mrs. Ruby Riggins told me, “Honey, if you asked everybody to toss their troubles into a pile and then choose one they liked better, well, they’d pick their own. No one wants someone else’s troubles.” So, no grumbling—just gratitude—from me. And the last addition to my montage would be a grandpa, walking toward a swamp cabin with a sleepy grandkid on each shoulder, smelling of wood smoke. Oh, I wish I could paint those images, but I can’t. That’s why I must wake up and make the rest of this Thanksgiving dream come true.